This book provides an analysis of the characteristics of portfolio managers, traders and banking customers when dealing with available market sensitive information. The results obtained suggest that market participants tend to behave somehow irrationally and overconfidently in selecting available information, creating important anomalies and arbitrage opportunity for rational participants. 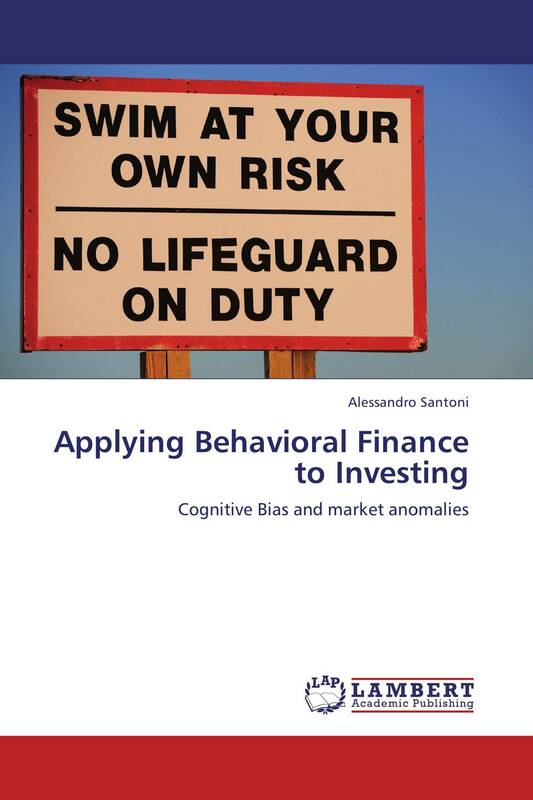 Studying the behavior of the fund managers that are managing portfolios on the basis of behavioral finance techniques it is possible to extrapolate a unique winning strategy. I moved then the focus on trader’s behavior. Overconfident traders do not process exhaustively all the available information but uses rules of thumb to determine which pieces of information deserve to be processed. Then I investigated if banking customers possess the ability to effectively process the available information and if the market has the ability to send signals which are informative and have a disciplining effect on market participants. The experiment focus on the capacity of US banking customers to process the information available through Rating Agency on the conditions of banks fundamentals before bankruptcy.